Katy Perry accidentally demoted Orlando Bloom from fiancé to boyfriend! 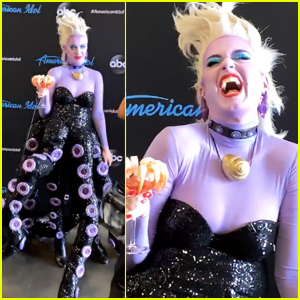 The 34-year-old songstress was live tweeting American Idol on Sunday night (March 17) when she mentioned her boyfriend’s reaction to the show. “My favorite part of watching #americanidol with my boyfriend is that he always tries to ask if they got in or not before we give the final vote. I never tell him hahahahahahahahahahaha,” Katy wrote. While Katy didn’t notice her mistake, her fans certainly did! Lots of fans replied to the tweet, reminding her of her newly engaged status. Katy didn’t address the mistake but we’re pretty sure there were no hard feelings! 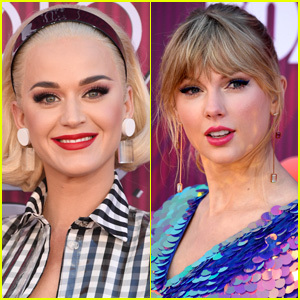 Katy Perry Honored with Inspiration Award at DVF Awards 2019! Katy Perry & Zedd Rock the Stage at Capital One JamFest! Katy Perry Goes Sporty While Running Errands in L.A.